My DH got me one of these orchids from Home Depot and I was just wondering if there was any special care for them.. He bought me a nice pot to replant it in and some orchid potting soil..
Now I have it sitting on my little table in the dinning room.. I'm going to cheat here and cut and paste something I e-mailed to a friend who was gifted a Home Depot orchid for Valentine's Day. I have several phals myself and like them very much. Phalaenopsis are mostly epiphytic but a few are lithophytic. I actually grow both. If you were shopping at Lowes (insert your big box store of choice as they all seem to offer the same phals), I've seen them selling the epiphytic types. Those are actually easier to grow. In their native habitat, you will find them up high growing attached to trees receiving little or no direct light. In other words, they aren't terrerstrial plants that grow in soil on the ground but they grow attached to other plants just like lichen. Think tropical forests. The humidity levels are very high in tropical rainforests. If you ever want to learn how to grow a particular plant, get the scientific name of the plant and start tracking down where it comes from and that's a big help in providing you with clues. So for this plant, you want an area that has the highest humidity in your house. You want a very bright area where the plant will not get burned by direct sunlight. Ta da! Most people take showers daily which raises humidity in a room. 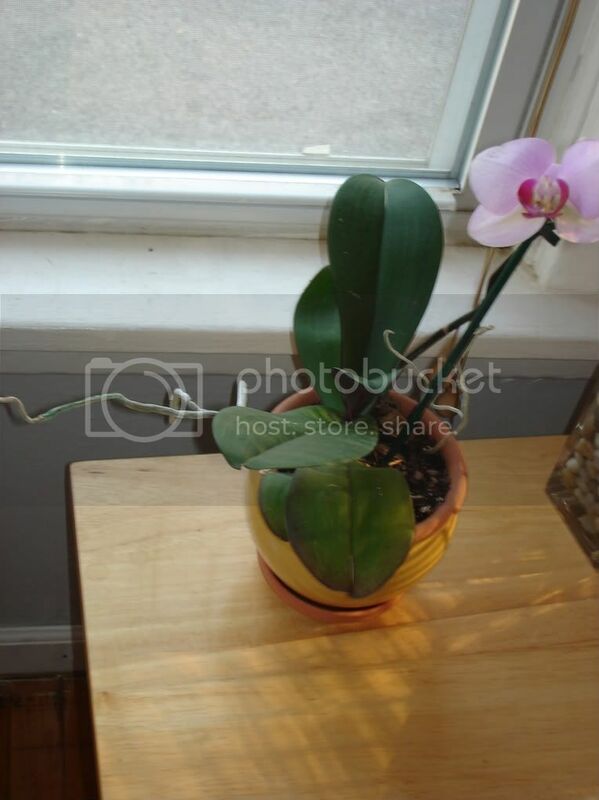 Bathrooms are great to grow Phals if you have a window in yours. Situate your plants some where in your bathroom where they might get some direct morning sun but definitely no afternoon sun or if they do, put up a sheer to cover the window to protect your plants from direct sunlight just as if they had a canopy of trees above them. Most of those bagged orchid mixes are worthless but because Phals are more common, you might be in luck and you might have picked up a bag mix that might work for them. Can you tell me which brand you have and can you give me a run down on the ingredients? Do you have any marbles at home per chance? Now mind you, this was intended for somebody else but I hung onto it because another person asked me who got one of these phals and then another one asked me so I figured it best to just hang onto the e-mail and cut and paste since there was obviously a run on phals at the big box stores. Hope this helps. I love mine and they bloom repeatedly for me. I know I could count on your help..And believe me if I need it I will be calling YOU!!! Things are looking good here ..I sure am glad inventory is over!! Pretty color. You've seen all the ones I have up in my bathroom. If that's where you are going to grow it, place a tray of pebbles under it and fill the tray with water and keep it filled. Pebble trays can help raise the relative humidity around a plant but I dunno with our dry winters if they can make a dent if you don't have humidifiers running in the house and I know you don't have a humidifier on your furnace. Looks as if your mix has charcoal in it. Put a tag in your pot with the date you re-potted it and make sure to re-pot it next year at this time. Charcoal is a double edged sword in a potting medium. Spent the day running in and out myself. Do you realize this is the first day we've really been able to go outside to do a little clean up? It seemed sort of strange being out there with the air temps in the 50's yet piles of un-melted snow were still everywhere. My nails are so filthy I'm going to have to use a nail brush tonight. It's been months since I've had to get dirt out from under my nails but I weeded that entire length of iris running to the front door and tomorrow I'm going to hopefully work on a few other areas or iris and I intend to get out to the greenhouse to re-pot some plants that mice got into. I am beginning to hate mice. 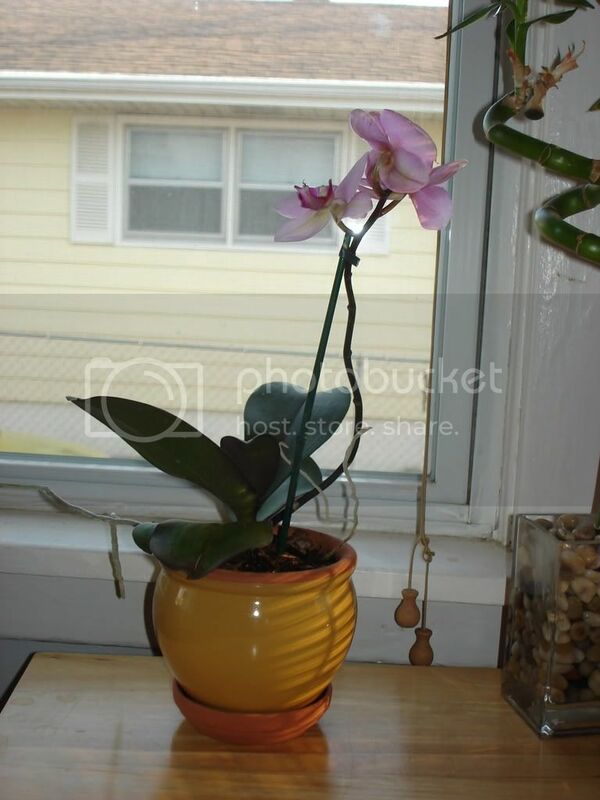 Mine is called Phalaenopsis on the label but I am not sure if it is the same as the one discussed here because its look is different from that in the picture. I got it in February and now its flowers are dropping. One of the stem is dry out as well. Is this normal or did I not care for it enough? If this is normal, when will it flower again? Note: In order to read the full articles, you computer must be able to cope with PDF files. 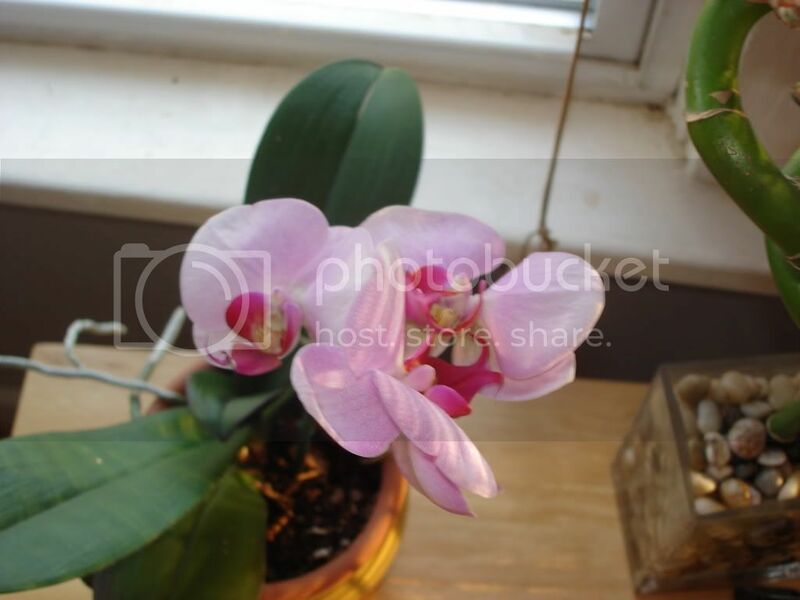 Will I be able to keep a Phalaenopsis?